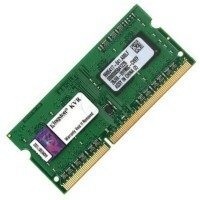 Is your laptop memory in need of an upgrade? If you feel that your PC is crawling along at a veritable snail’s pace then it may be worth looking into. Fortunately, what with the prevalence of laptops in contemporary computing, cheap laptop memory is now readily available, and here at Digitalpromo that is no exception. Upgrading your laptop RAM can result in a number of benefits, allowing your laptop to not only run faster but also cope with performing more tasks at once without ending up stuttering or, worse, grinding to a complete halt.